Valerie Stiffy has been a Special Olympics athlete for two decades. She excels at her tennis serve and backhand stroke and is excited about the opportunity to meet new people and see a new country. Valerie hopes that people will become more accepting of others and tries to encourage everyone she plays. She'll be attending her second Special Olympics World Games after traveling to Athens, Greece in 2011. She loves competing at any level, whether it’s state, national or international. 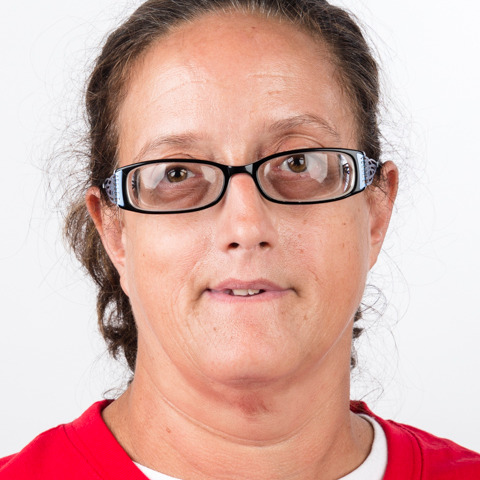 Valerie works at McDonald’s and in her free time enjoys shopping at flea markets and doing crossword puzzles. She's excited to visit a new country and watch the awards ceremonies.